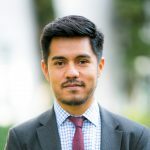 Diego Zaragoza Tejas is the Head of Lower School and Interim Director of Academic Affairs (K-12) at The American School Foundation in Mexico City. He grew up in California where he obtained his B.A. in Latin American Studies from the University of California, Los Angeles. He then obtained his M.Ed. in Education from the State University of New York at Buffalo and a leadership certificate for international schools from the Principal’s Training Center. Diego has held teaching positions in the early years, elementary and high school. For the past 8 years he has worked as an education consultant for schools in the United States, Africa and Latin America and has also been an IB Educator holding the roles of teacher trainer, consultant, school evaluator and service developer. His areas of focus are in leadership, curriculum development and alignment, elementary education and leading through strategic vision. He is fluent in English, Spanish, Portuguese and Italian.